F Keyword research. This is one of the most important parts of improving your rank in a Search Engine. This may seem obvious initially, but it becomes more in depth very rapidly. You need to know what keywords customers or prospective customers are using to find you. That is the easy part. Sell cupcakes? Cupcake would be the obvious keyword. Frosting, the size of your cupcake, dietary specialties (gluten free, vegan, etc. ), and location would also be useful keywords. You also need to know what related keywords could be used. Related keywords are usually something indirectly related to your product, or a different way of searching for your product…easy catered desserts could be an example. Add content that also consider these indirect keywords. Perhaps an article on the best kitchen utensils for making cupcakes. Or piping tips for beginners. Draw your prospective customers in with useful, helpful information. They will be more likely to come back when they need your services. Next, you need to look at the content on your site. Believe it or not, the length of your posts, articles, verbiage…all matter. Google and other Search Engines have some fancy comparison tools. They believe that the more content you have (like a 1,500 word blog post as compared to a 300 word post) means that the longer post has more value to provide the person who is searching. The search engines believe that you are more likely to be the subject matter expert.Now, it would take some creativity to talk about kitchen utensils from the example used above for 1,500 words! Search Engines compare your site to other sites. If the other cupcakeries in the area are not posting articles or blogs, then continue to do so. Find the word count that makes sense and be consistent. Periodic refreshing of articles or posts on your website also help. It shows that you are an active business. Website load speed is huge! We have become so spoiled in our expectation of how long a website should take to load. Most consumers want instantaneous access after a click…or nearly instantaneous. Not many people will be patient enough to wait for a page to load in 2019. There are two key ways that a business can improve website load speed. The first is straightforward. How fast of a download speeddoes your website host guarantee? Is there a better, faster option out there? You might be surprised. This may take some time and some research to find the right option for your business. The other way to improve your load speed is to review your content and make sure ALL your pictures are compressed. I cannot stress this enough. There are various ways to do this for FREE online. Microsoft Office products have this option as well. Compressing pictures does not diminish the quality, only allows other users to view it in a timelier manner. This is one of the easiest things you can do, and it will make a massive difference! 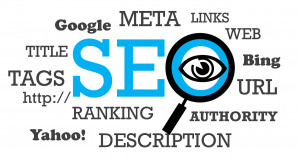 One way to improve your website rank in 2019 is to focus on your “On Page SEO”. This is a fancy way of saying focus on your website content/design and HTML coding. This is really making sure the keywords we discussed above are used on your page in a Goldilocks manner (not too little, not too much, but just right). It also means using the tag function within the HTML code (some website design applications do this work for you or make it very easy to add) and making sure the keywords are in those tags as well. This can be for pages, titles, captions, etc. You also need to make sure your web page has the right balance of text, imagery, and even video. Finally, make sure your website looks good on all types of devices, from cell phones to desktop computers. You never know how your prospective customers will be looking for you! Did you know that even what images you have on your site can matter? Humans are such visual creatures. They are drawn to pleasing imagery. Have you ever searched for an image of what you were looking for first, and then used that website as the end all? I have. Whether you are looking for the cutest puppy or kitten…or a specific vehicle online, it pays to have best image possible. I know the last time a close friend bought a truck, he completely skipped over all the different styles that didn’t have pictures…even though the truck he was looking for may have been perfectly described in words…he just couldn’t visualize it without a picture. This is true in many industries. Take the restaurant industry as another example. Ever order the menu item that has a picture? I am guilty of this one. Bottom line…the right images are crucial. Domain Name Describe your Business? Does your website url match what you are doing? Or is it old and outdated? How about your title? Is it consistent across all forums? In 2019 it is becoming more and more important to show consistent branding. This means that titles, urls, and tags all need to use the same key phrases. Think about it in this manner. If you were looking for a website to help you plan a trip to the beach, it would be very confusing if the title of the page or the url did not mention beaches, Travel, or even trips at all. By essentially creating a brand and continuing it through your content, it allows Search Engines AND consumers trust you and believe that your site is a valid and trustworthy place. Search Engines also look for links on websites to determine if they are valid and useful sites. This piece can be a bit tricky. You want to again find the right balance of links to your social media sites, to other external sites, and to internal links within your own site. The sites you link to need to be value added sites, not some random site that has nothing to do with your content. These “cheap” links will drag you down the list, not build you up. Take the time to make sure your social media sitesare updated. Here it is really quality over quantity. Haphazardly posting to Twitter, Facebook, Instagram, LinkedIn, and other sites will not help you build a consistent base. It would be better to reliably post to one or two. Users will expect content and follow up on a frequent basis. Improving your click through rate is another way to boost your rank within the Search Engines like Google. This would essentially be your online marketing campaign. Whether you send emails to prospective consumers, provide links in your social media pages, guest post on other’s websites, or even have paid advertisements for your products…all these marketing strategies lead customers back to your website. The more visits your website has more than likely will improve the number of sales you make. 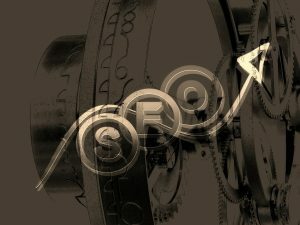 It will also boost your value in a Search Engine’s eyes and therefore increase your rank. 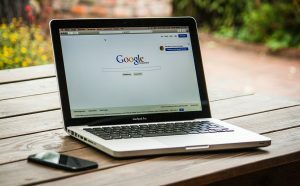 Whether you choose to tackle all or some of these different ways to improve your rank within Search Engines like Google in 2019, just remember that it is a process. Start where you feel comfortable, or where you can feel you can make the most improvement, and then work on from there. Don’t be afraid to ask for help either. That is why groups like us are here – to help you navigate this sometimes-complicated world…to show you how to kick start your growth, increase your revenues, and improve your marketability. 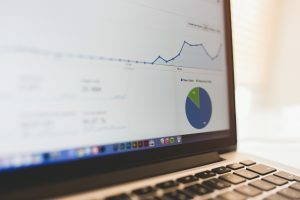 You can take the step to improve your website rank in 2019! Since this just scratches the surface of what we do on a daily basis it may be to much for a business owner to try and tackle by themselves. If you would like some help with this please let us know and we would be happy to help!